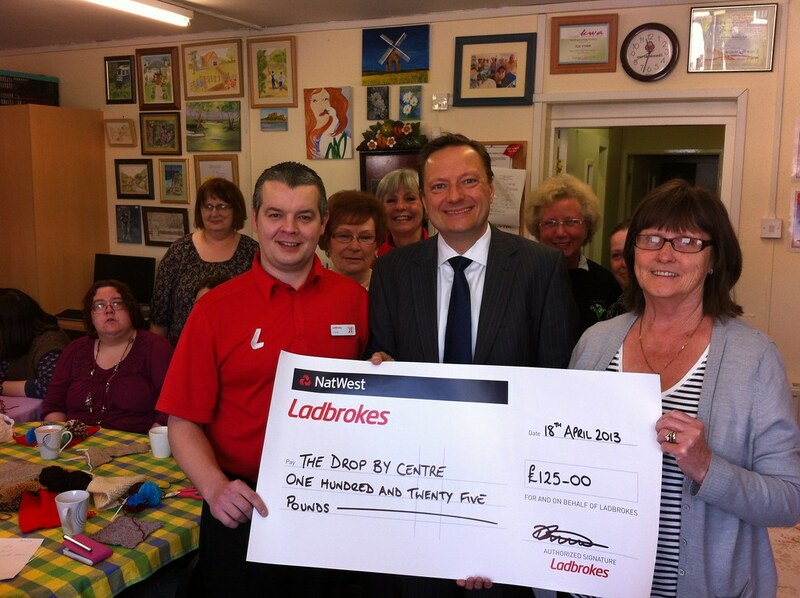 Jason delivered a cheque for £125, the winnings from his Ladbrokes Grand National Charity Bet (Tea for Three finished 3rd), to the volunteers at the ‘Drop By Community Resource’ in Golcar. The volunteers run various lunchtime activities including arts, crafts and knitting. Earlier Jason visited ‘Volunteering Kirklees’ who are based in Huddersfield. The centre works in partnership with many organisations across Kirklees to support and promote good practice in volunteer involvement. Jason spends a full week volunteering every summer and will be doing so again this August.